Hi i built myself an osw a month ago and its going relly good, a couple of mates tried it so they bought all the grear to build their own. We set them up friday Small Mige and IONI pro HC NDR power supply. Everything worked fine using the same settings as i am running on mine (i only have IONI pro). Yesterday we went to turn it on and it turned on for a few seconds then shut down over and over and you could feel alot of heat from the resistors, we let it cool down (it was also a hot day in the shed) and tried again, it done the same thing. We unplugged everything then plugged it all back in again and tried a couple of times more then it started to stay on. 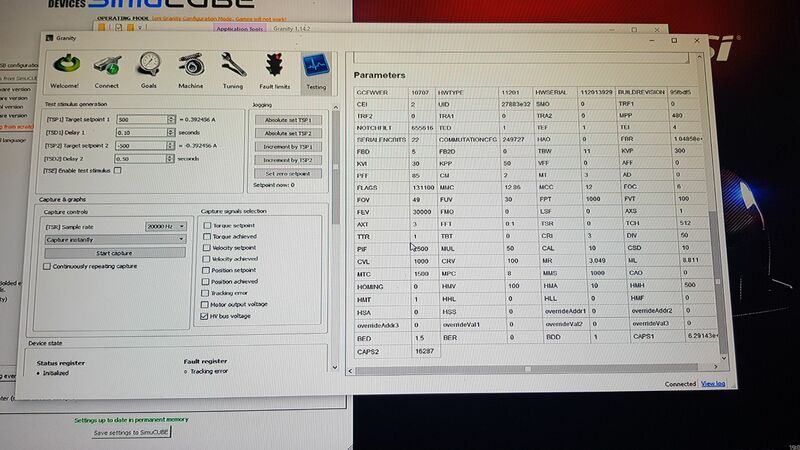 We opend Simcube and there was a motor temp error. after clearing the error the wheel was working fine until you hit a wall or any spike in the FFB it would cut the FFB ond show overvoltage error. Ay Help would be great…The other one is doing the same but worse, it wont even start up and has a cracked resistor. Most likely your overvoltage fault threshold settings were wrong for the PSU you were using, and that has caused the excess voltage to be driven to the regenerative braking resistor. However, we are curious on how the failure has happened as there are protections for this in IONI firmware. 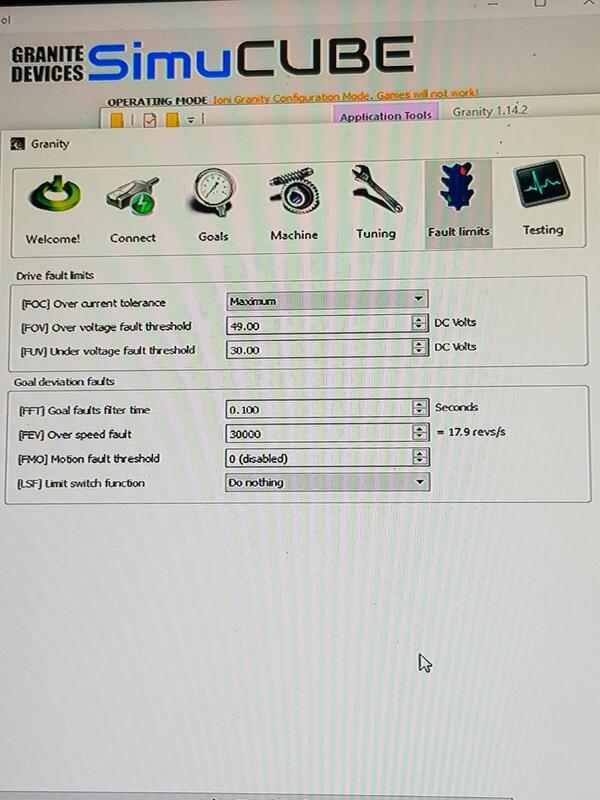 For this reason it would be nice to have screenshots of the Granity settings and the HV voltage bus on the testing tab. Please write a support ticket in order to get the boards replaced. 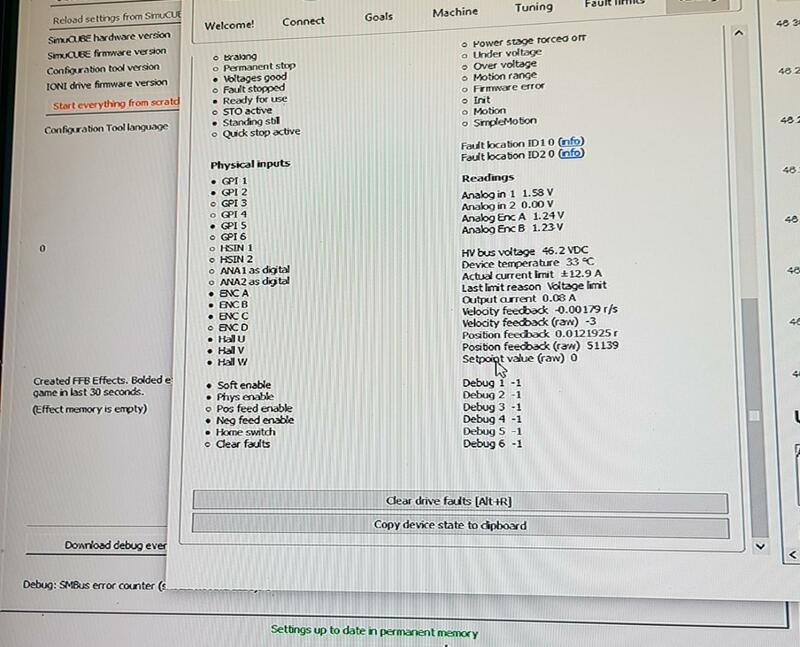 Hi Mika here are the screen shots, I will only be able to send through one of the Boards testing pages as only one will connect the other one just turns on and off. My mate how actually bought these two is going to fill out a ticket his name Is Todd. It just doesn’t make sense as we used the exact settings as I am using on mine and I have not had any trouble. And a qualified electrician wired all three up the same as per instructions on the wiki page. Hey Mika did you get the request from todd he filled out the support ticket last night? I saw the ticket, it will get handled soon. Hi guys just wonder where your at with my ticket as i have no reply from u guys ?? Unfortunately our support is lagging right now due to a manpower issue. I will assure you that the support request will get handled as soon as we can. Try to be patient Todd. It takes a little time to work these things out. Sorry for the abnormal delay due to our main support person Esa is on sick leave. I’m now taking care of the support ticket. Some more details are needed, and I have asked them in ticket. Let’s continue there to stay in track with issue easier, and finally post the solution there. The damaged boards were delivered to us on Monday 4th of March 2019. 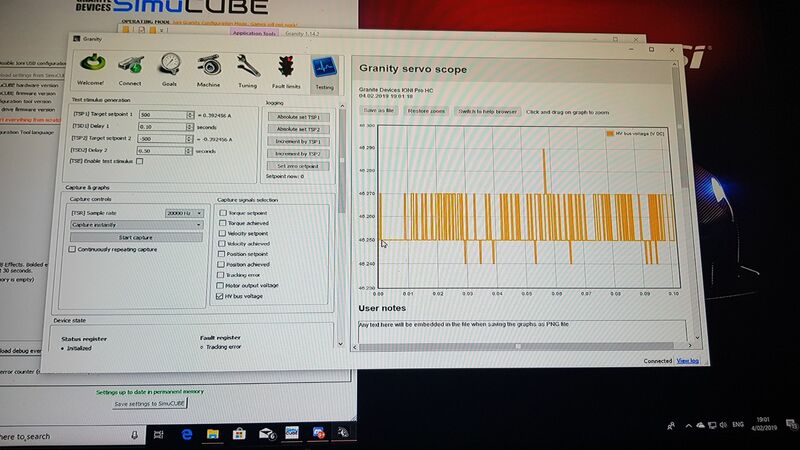 The damaged mosfets and braking resistors were fixed on 6th of March 2019 and shippped back to you on the same day. No other issues were found. Based on our understanding of electronics, the mosfet that controls the braking resistor was damaged due to ESD.